Growing from the purchase of railroad tycoon Henry Flagler during the 1900s, the village of Pinecrest has steadily grown from humble beginnings. Its first signs of community came from the development of one of its most famous attractions Parrot Jungle. Founded in 1936 by a couple known as Franz and Louise Scherr, they built a habitat where parrots could roam free. Over time the attraction became world famous, bringing in over a million visitors, including famous historical figures such as Winston Churchill. Pinecrest is certainly a beauty to behold, but with this beauty comes some dangers that may not be apparent. The damage that a slip and fall can do is a real one, it is a hurt both to pride and to body. If you find yourself in a slip and fall, your first instinct is usually to get yourself up and move on. That reaction may be premature, as sometimes the fall is not the fault of the victim, but of the establishment. Taking the time to investigate the reason for your slip and fall is not only prudent, it’s necessary to ensure that you’re not being denied compensation that is owed to you. In Pinecrest, the Miami Slip and Fall Lawyers that work for Wolfson Law Firm are ready to help you. All you must do is give them a call at (305) 285-1115. Wolfson Law Firm’s Pinecrest slip and fall attorneys have been hard at work since 1963. They know how important it is to investigate every incident that takes place. Should they find that there is no cause for legal action, they’ll be more than happy to inform you, and give you the peace of mind that you need. 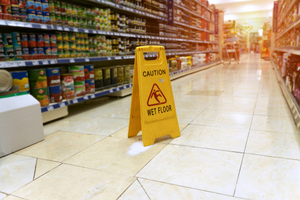 Do You Have a Good Pinecrest Slip and Fall Case? Trust is an important thing, and trust between client and attorney is doubly so. At the Wolfson Law Firm, we work with a measure of trust between client, jury, and lawyer. Finding out if the case you have is worth pursuing is important not only because your time is valuable, but also because unethical lawyers who waste the client’s time are better avoided. If you do not have a case, we will inform you, and there will be no fees that you’ll be forced to pay. Our consultations are free, as is the number to call us. If our Pinecrest trip and fall lawyers determine that your case is something we can pursue, we are more than prepared to take the next step. We give notice to those responsible, be they insurance companies or the establishment itself. We work to ensure that you have the best doctors and experts needed to prove your case. The Miami personal injury attorneys at the Wolfson Law Firm are prepared to help you and your loved ones. The managing attorney Jonah Wolfson is a bilingual personal injury lawyer in Miami who would be happy to answer any questions you may have. He and his legal team are waiting for you to call at (305) 285-1115.